Salt and pepper the chicken on all sides. Mix the olives, herbs, oil, and lemon juice and set aside. Cook the chicken for 40 minutes, or until deep golden brown. Drizzle with olive oil at least twice during the baking to get a crisp golden skin. A thermometer inserted between the leg and thigh should read 160F. Cover loosely with foil and let rest for 15 minutes. 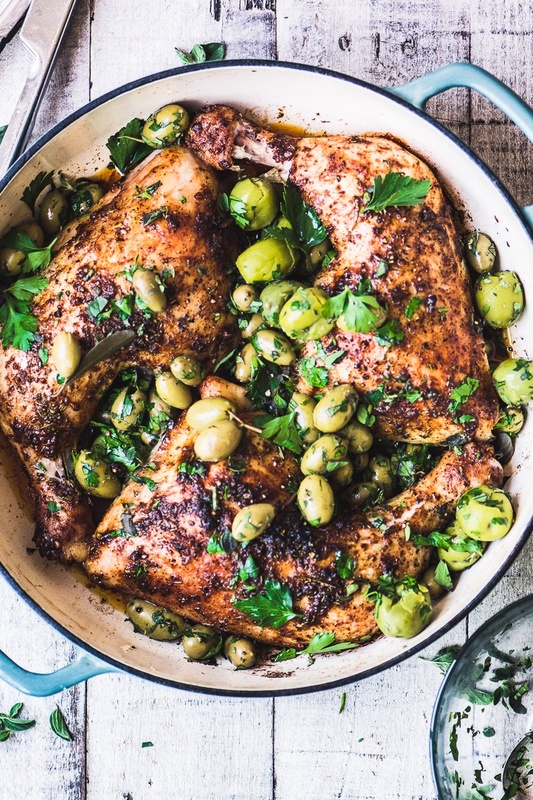 Serve the chicken topped with the olive mixture and some fresh parsley sprinkled on top.